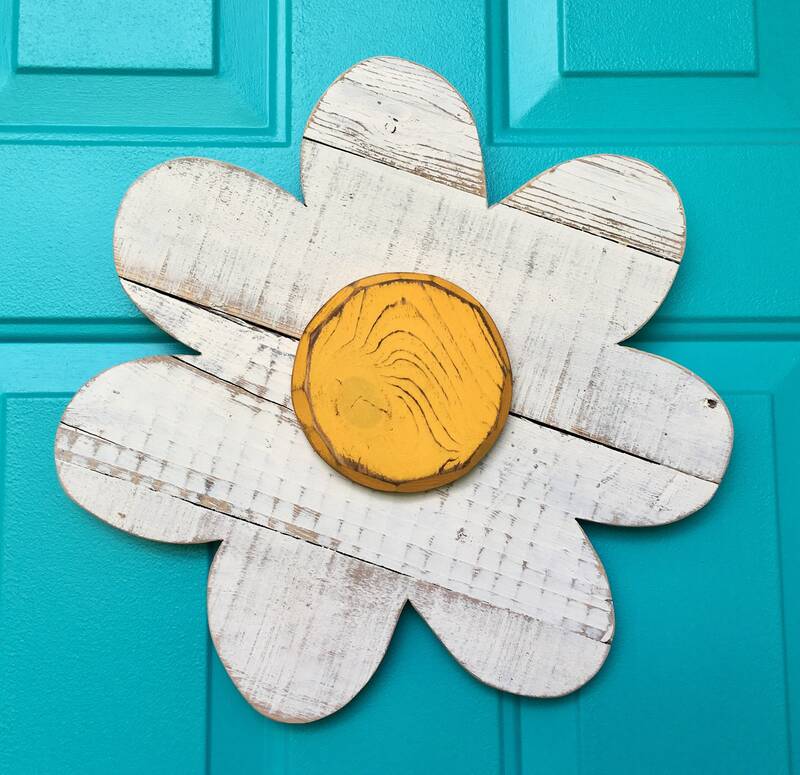 Stunning wood flower made from reclaimed barn wood and pallet lumber!!! 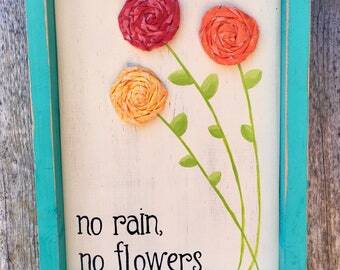 Perfect for your front door, porch or garden!!! 🌼 Measures approximately 17” in diameter. 🌼 Beautifully aged reclaimed wood attached to a pine background piece. 🌼 Painted light ivory and bright yellow. Carefully distressed to reveal the natural beauty of the wood. 🌼 Comes ready to hang or prop. These look amazing propped on a mantle or table too!! !